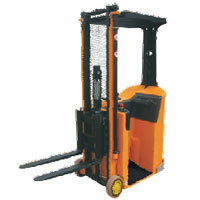 With our domain expertise, we hold specialization in manufacturing and supplying Forklift Trucks. We provide a wide range of Forklift Trucks such as Electric Forklift Truck, Narrow Aisle Forklift Truck, and Side Loading Electric Forklift. 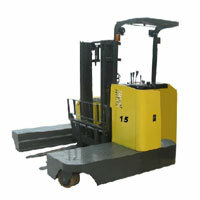 All these Forklift Trucks are engineered at our state-of-the-art manufacturing unit by the experts. 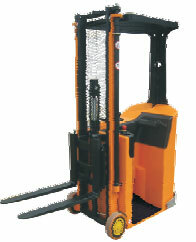 These Forklift Trucks are recognized for several advanced features like high performance, efficient service life and optimum performance.